Your garage is the storage site of your home, filled with a variety of home valuables and a multitude of bits ‘n’ bobs. So when you lack effective organisation and efficiency it’s no shock when your garage becomes a cave filled with balls, tools, old toys and bikes that seem to find their way there. So as we’re experts in storage, we’ve come up with some helpful garage storage solutions for you to organise and maximise the space in one of the most cluttered areas of your home. Never lose your tools again. If you don’t own a toolbox or need your tools to hand when working on a little project in your garage, this is the solution for you! Magnet strips can be mounted to the wall will hold your tools. So you won’t have a screw loose looking for your tools. 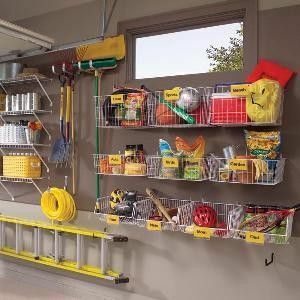 A popular garage storage solution, wall storage is a great way to store your accessories in your garage. Ideal for garages with limited space or for those who want to make space without the use of storage boxes. Wall storage may take a lot of planning to ensure everything has its place, but when it’s done well it can make a great visual impact and make finding things incredibly easy. 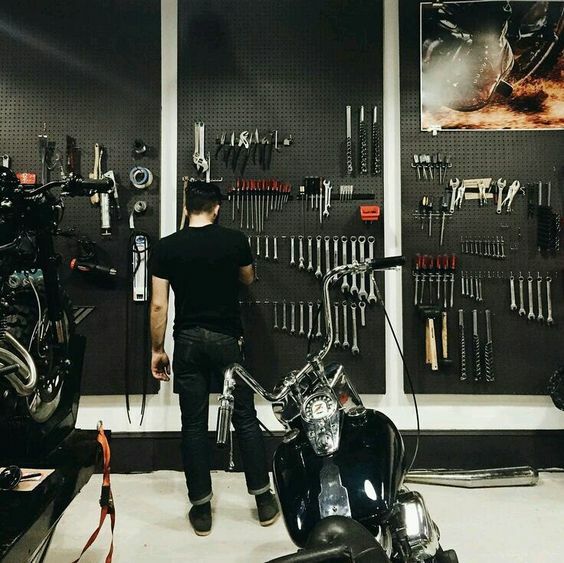 From bikes and balls to garden tools and games, it’s one of the coolest ways to organise your garage. Mounted baskets can be the perfect solution for all your ‘odds and ends’, those miscellaneous belongings that you can’t quite sort or label. Whether the baskets are on the wall or hanging from the ceiling you’ll always be able to see the contents and easily locate that missing part of the puzzle. To be even more organised and save time in the future you should at least give a broad label to each basket, for example, ‘Bike stuff’ or ‘Gardening bits’. You can move all your light and less-commonly used stuff into overhead storage in your garage. You can fit racks to hold your sports equipment or hooks or bars to hold ladders. Keeping these items overhead will maximise floor space and can be easily reached at any time for your convenience. Who knows, you might even have room to fit the car in once you’re done. 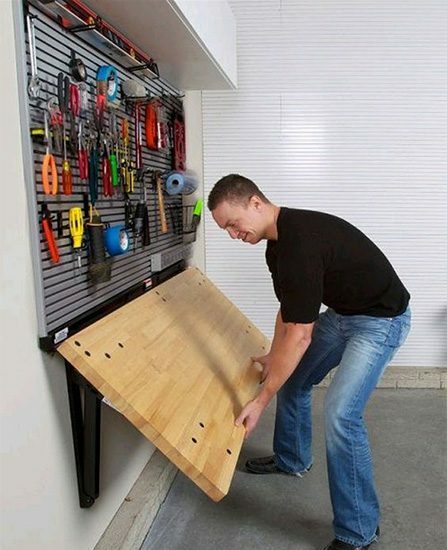 A perfect way to save your space is easily stowing away your workbench. When your workbench isn’t in use, it can easily convert into the downward position. It’s an ideal solution because you get the best of both worlds. Whenever you need your bench it can seamlessly fold up and be put to full use. Just make sure you put your various nuts and bolts away before folding it down! However, if you still need to keep your valuables in storage and can’t store them in your garage, contact us for more information on our storage units that can save you.